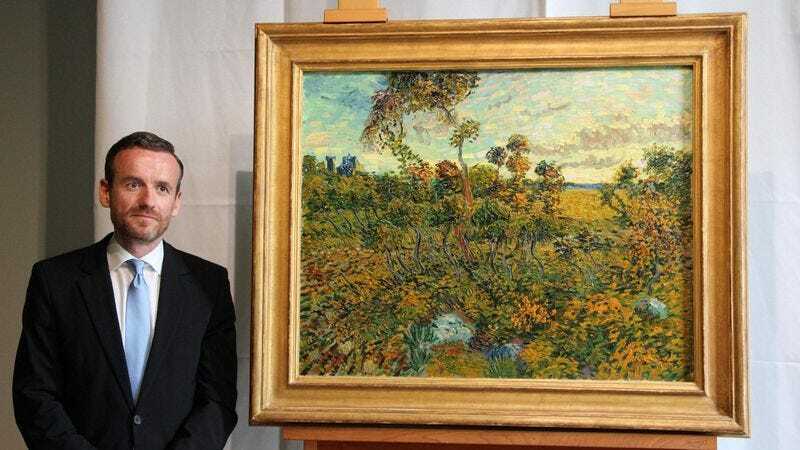 AMSTERDAM—In a cold-hearted, deeply exploitative decision announced Monday, the Van Gogh Museum revealed that they had unearthed the crazed scribblings of a schizophrenic, highly disturbed suicide victim and planned to put them on full display for the world’s amusement this coming fall. “We hope people from all across the globe will come to see this exciting and fascinating new acquisition,” said the museum’s chief curator, Axel Rüger, who is evidently fine with the idea of parading around a clearly very sick man’s manic doodles for the so-called entertainment of millions. “It’s truly an extraordinary find, and we feel especially lucky to be the first to [take the creations of a severely bipolar individual and allow the general public to leer at the products of his mental illness]. Truly, this is an historic day for all interested in [exploiting the creations of an insane person].” Museum officials confirmed the sad, erratic evidence of a madman’s psyche will be on view—like some sort of modern-day freak show—until early winter.